Teddy-fleece lined winter parka in classic Fjällräven style. Durable and versatile for all kinds of everyday outings. With a long, warm parka, you are ready for the cold. 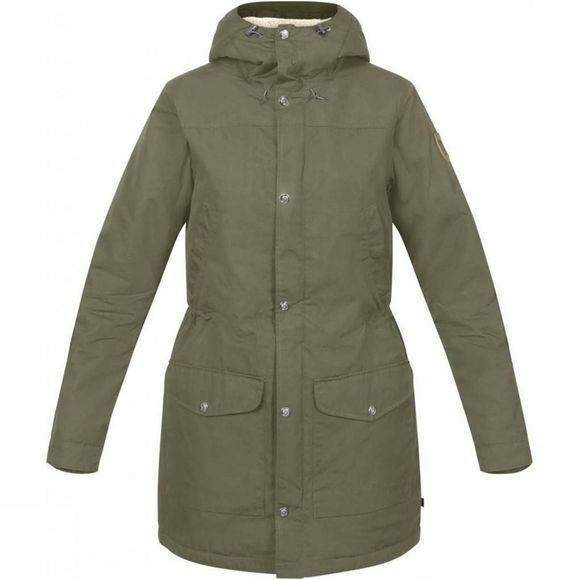 Greenland Winter Parka has soft teddy lining, a comfortable hood and cosy fleece-lined hand pockets that will keep you warm both in the forest and on the way to and from work. The classic Greenland style and durable G-1000 Eco fabric give a jacket you will wear in rather than wear out, and that is likely to become a favourite for many years to come.